The creation of a hymnal involves thousands of discussions on matters both large and seemingly small. Should the accompaniment for each piece be printed in the pew edition? Should names of authors and composers go at the top of the page or the bottom-or be left off the page altogether (as was done in historic hymnals) and only mentioned in indexes at the back? Should a comma go between main clauses of a text (as has been the practice in Great Britain) or a semicolon (as is the standard practice in the United States)? People who use congregational song collections are generally spared such minutiae, however the essays in this book offer a peek into some of the processes by which Glory to God came into being: its organizational framework, language, music, liturgy, and theology. 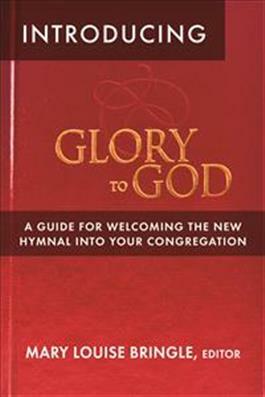 Reading through these articles, whether alone or as part of a study group, provides answers to an array of "what," "who," "how," and "why" questions about the new congregational song resource, which is, in fact, more than just a "hymnal" because it contains psalms and spiritual songs, not just hymns. With the present collection of essays, worshipers will have the opportunity to enjoy a deeper connection with the hymnal itself, gaining intimate insights into what went on during the years of committee deliberations and editorial decisions leading to the finished product.